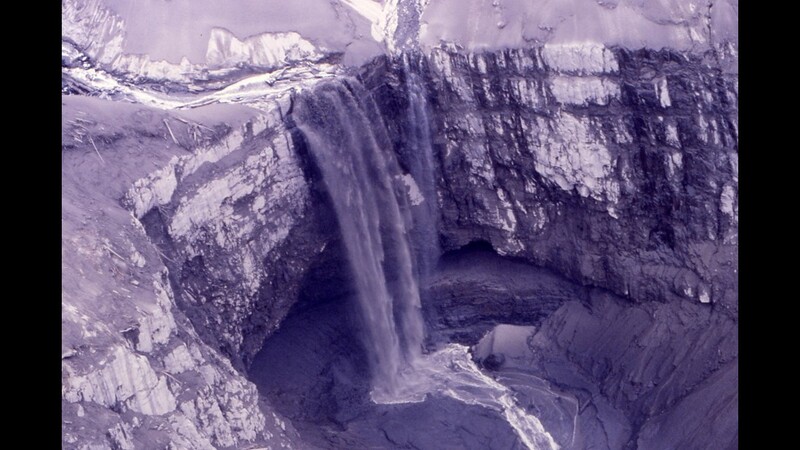 An ash-covered waterfall is seen after Mount St. Helens erupted in 1980. First view of the crater's mouth after Mount St. Helens erupted in 1980. 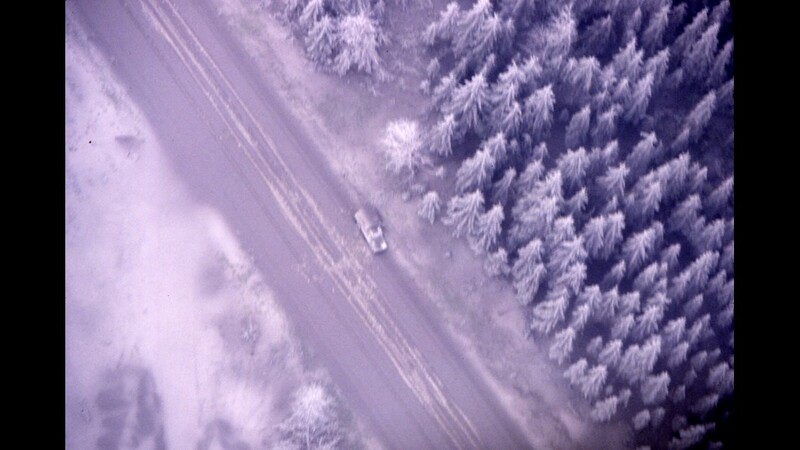 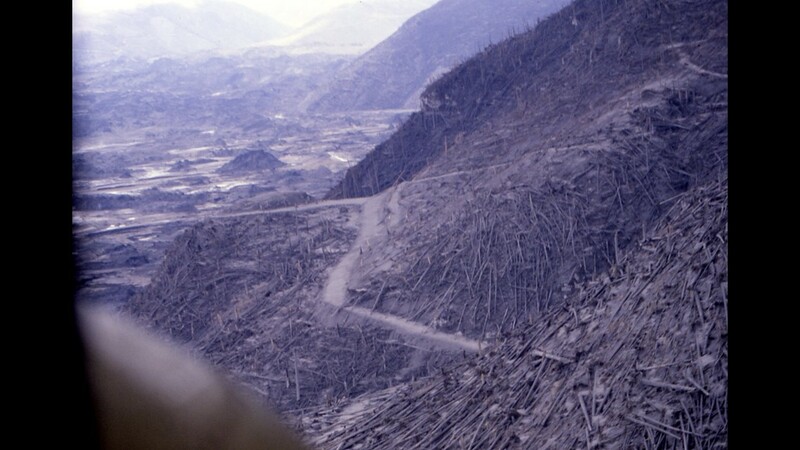 An abandoned truck is seen in an ash-covered landscape after Mount St. Helens erupted in 1980. 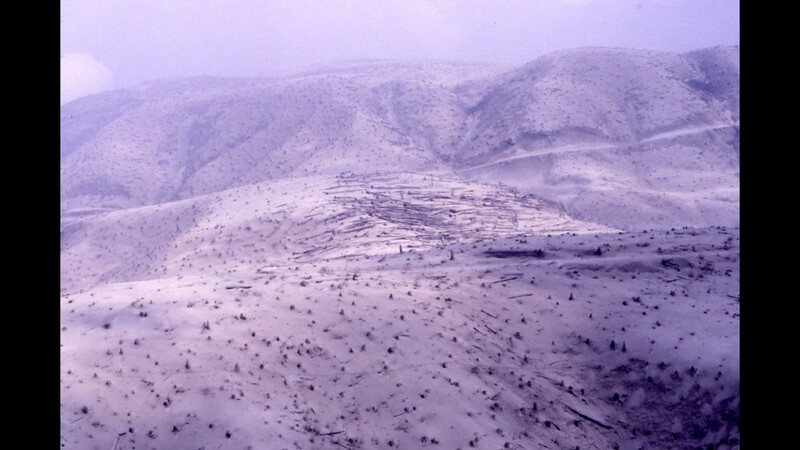 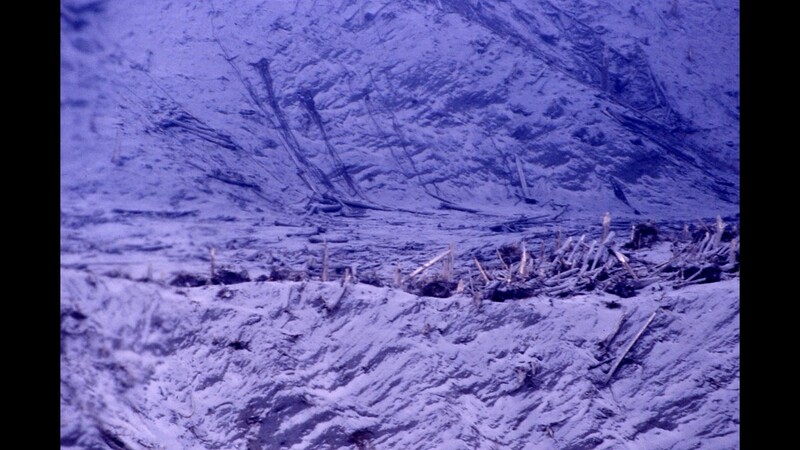 A small area protected from the blast of Mount St. Helens, seen here after the eruption in 1980. 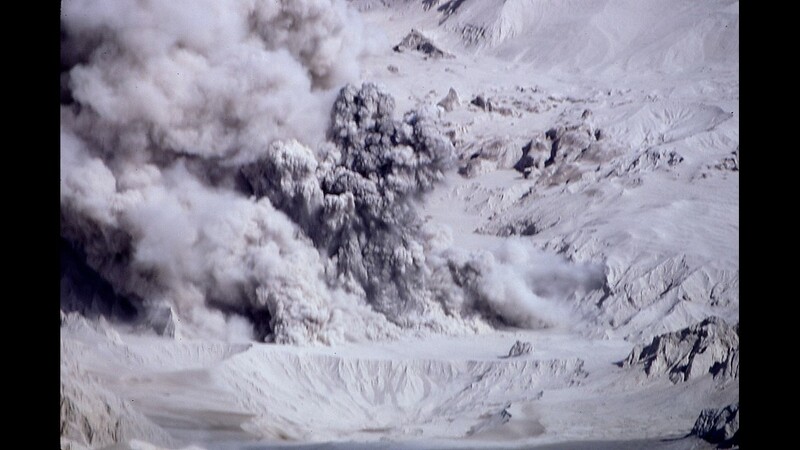 An ash eruption is seen near Spirit Lake after Mount St. Helens erupted in 1980. 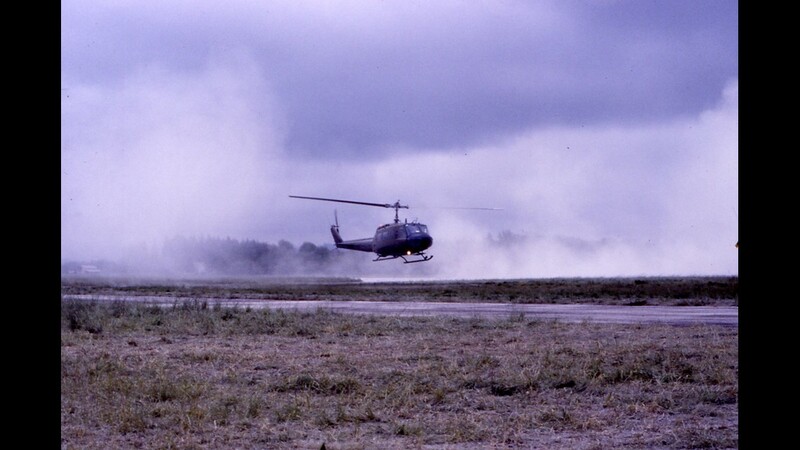 A helicopter kicks up dust as it takes off after the Mount St. Helens eruption in 1980. 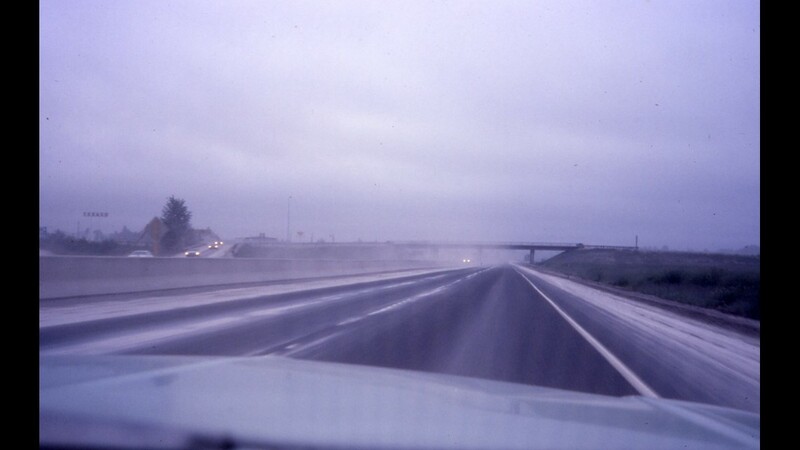 Ash is seen on Interstate 5 on the way to Portland after Mount St. Helens erupted in 1980. 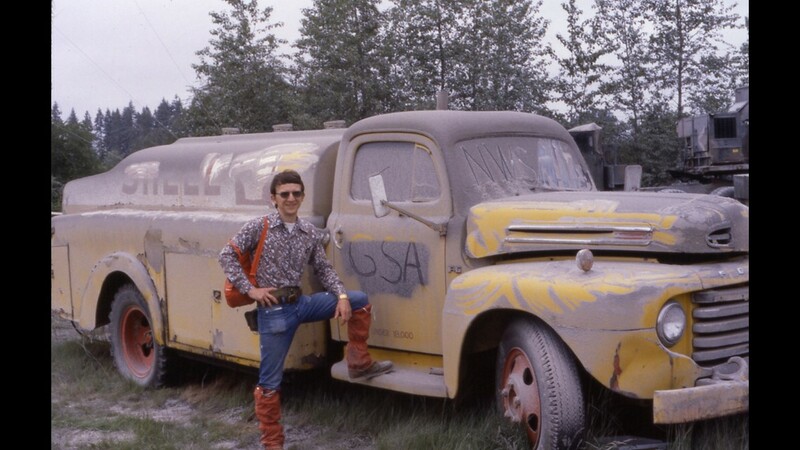 Bob Jackson poses near an ash-covered truck after Mount St. Helens erupted in 1980. 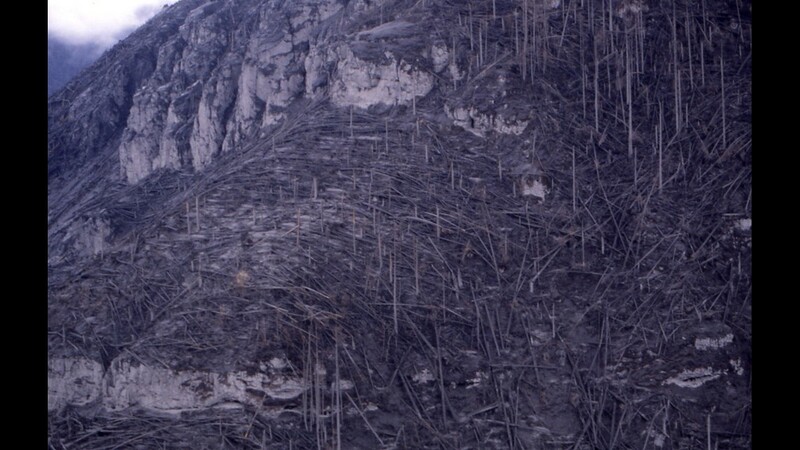 A car is seen crushed by trees after Mount St. Helens erupted in 1980. 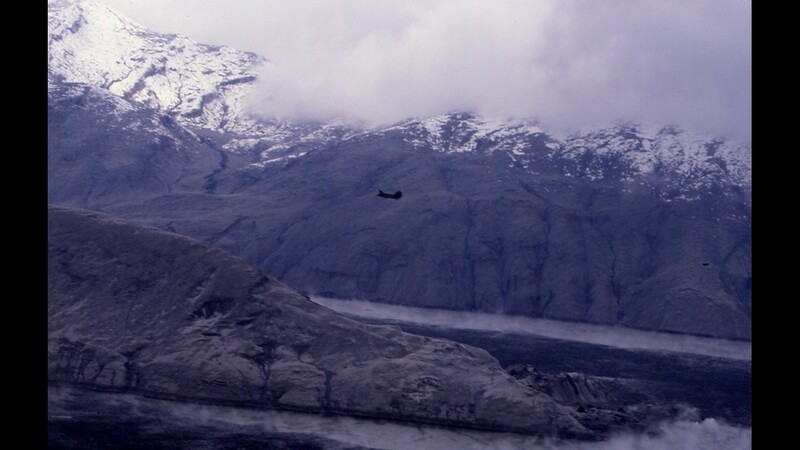 A Chinook helicopter takes off after Mount St. Helens erupted in 1980. 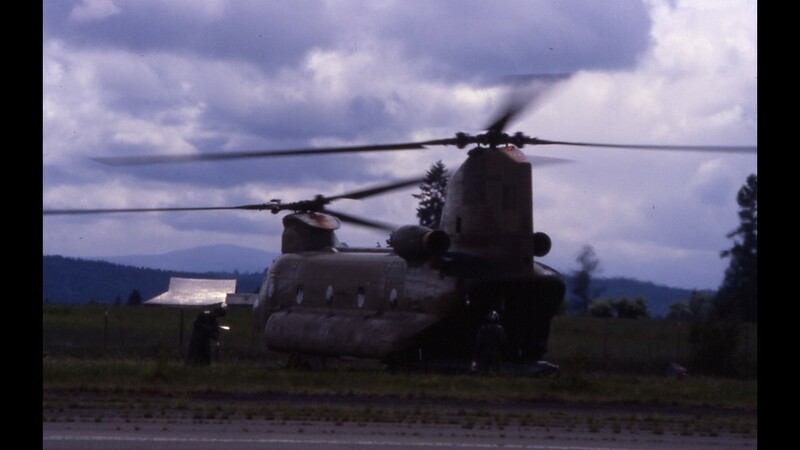 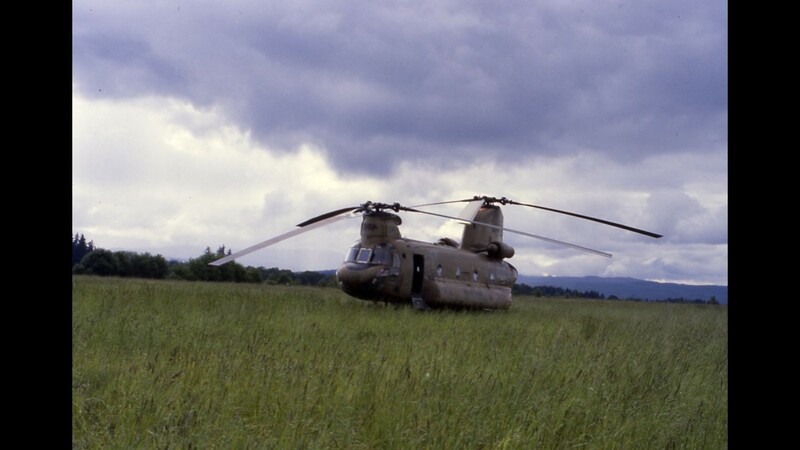 A Chinook helicopter lands after Mount St. Helens erupted in 1980. 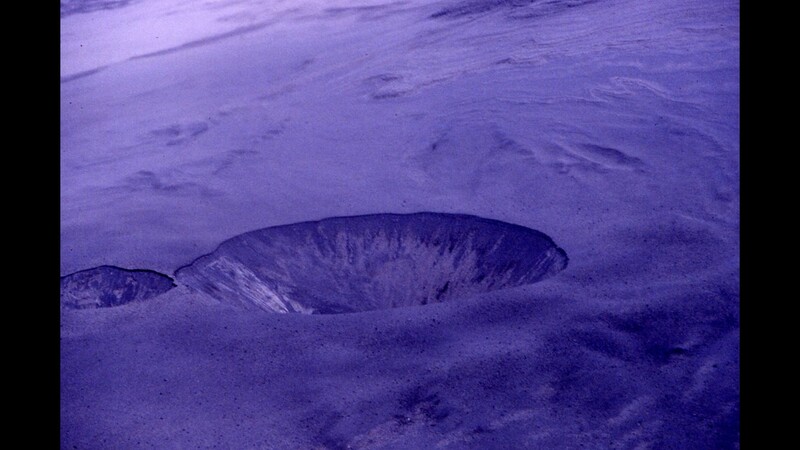 A close up of the crater showed some erosion after Mount St. Helens erupted in 1980. 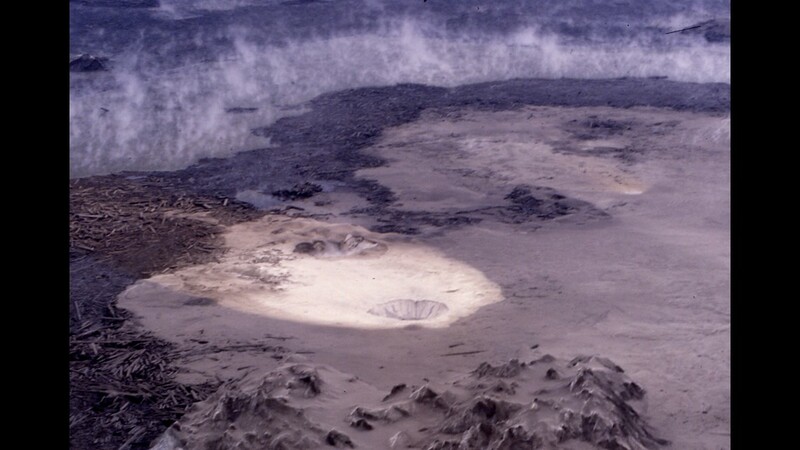 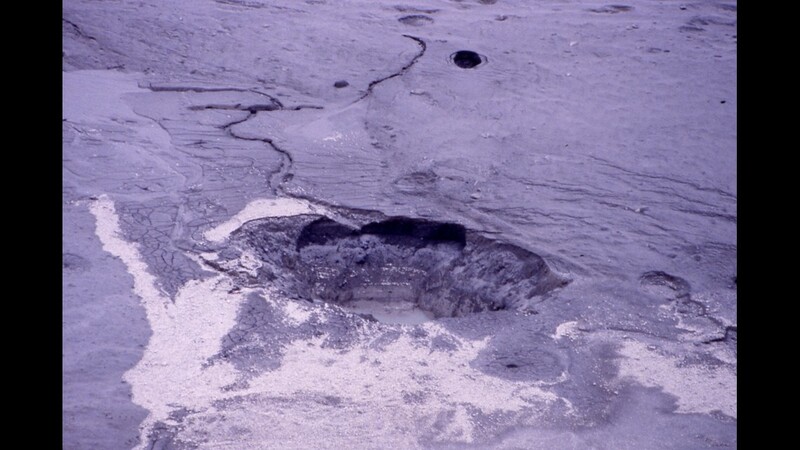 A crater collapse due to the mud flow was seen after Mount St. Helens erupts in 1980. 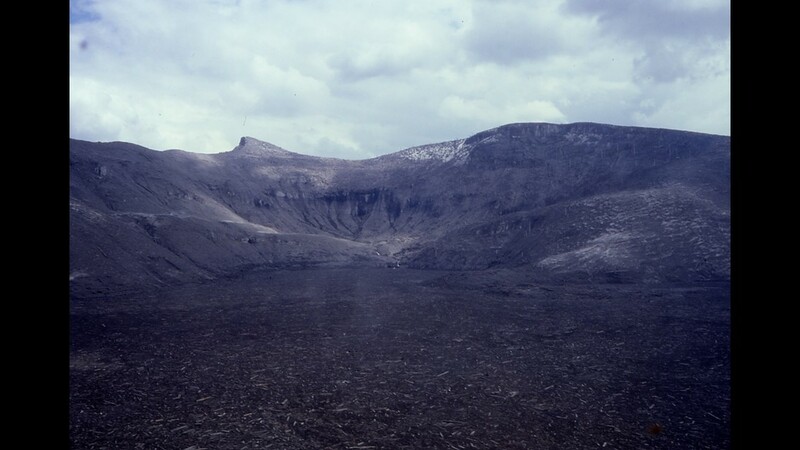 A crater on a plain after Mount St. Helens erupted in 1980. 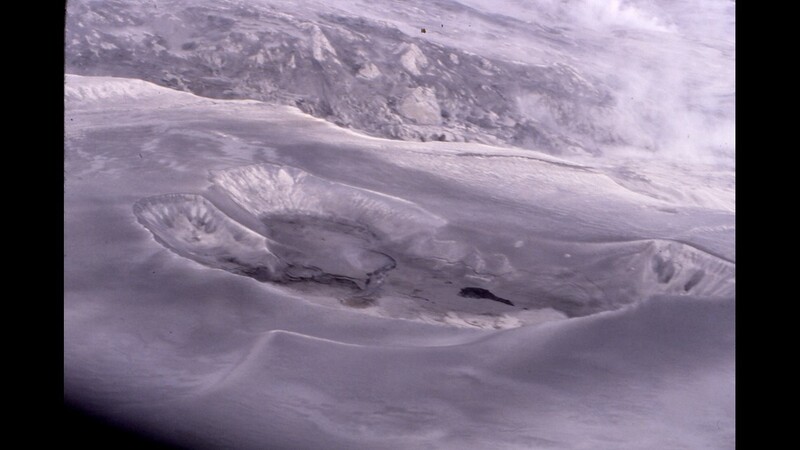 A crater was seen after Mount St. Helens erupted in 1980. 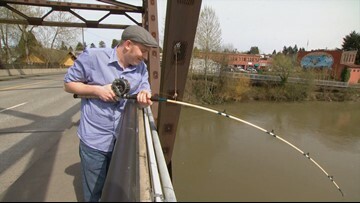 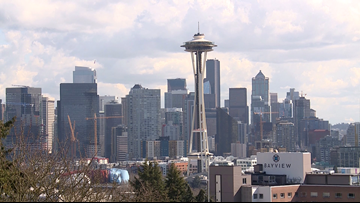 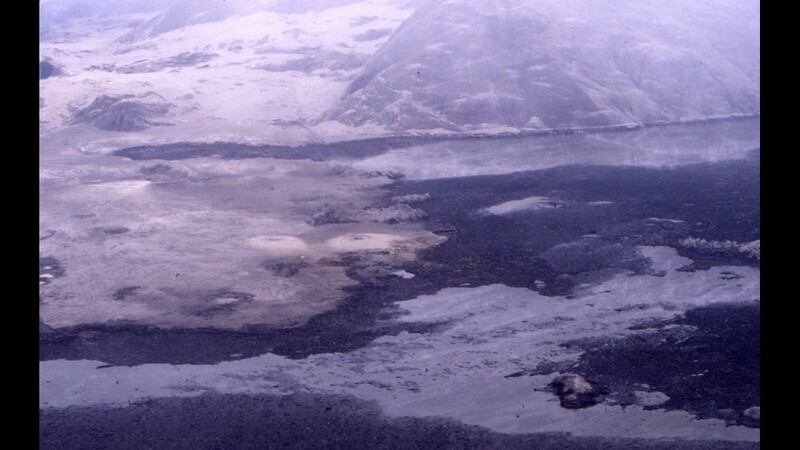 Debris patterns could be seen from the air after Mount St. Helens erupted in 1980. 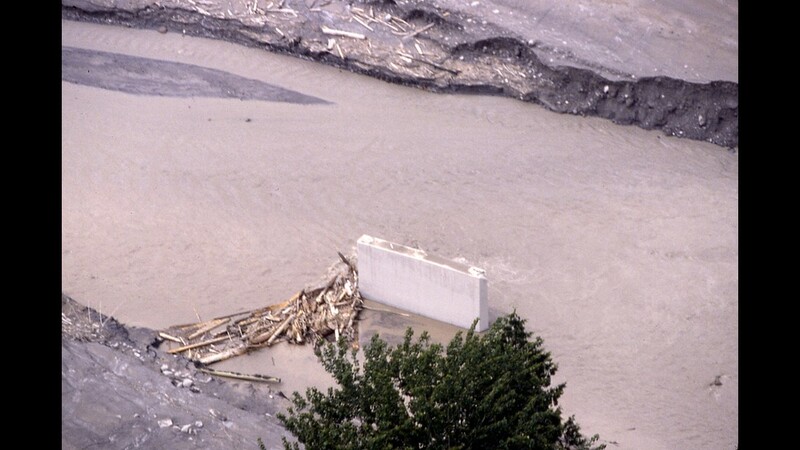 The remants of a destroyed bridge after Mount St. Helens erupted in 1980. 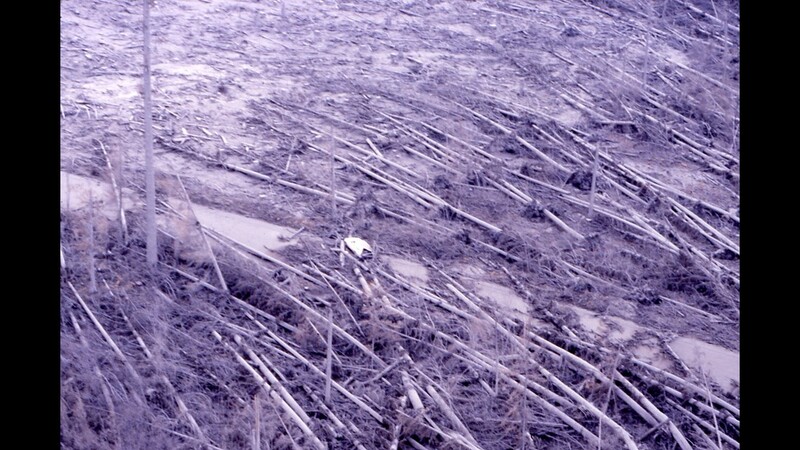 Downed timber and mud flow stretched for miles after Mount St. Helens erupted in 1980. 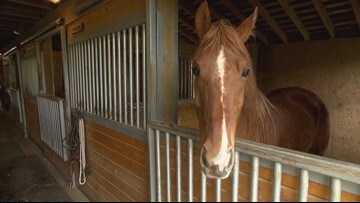 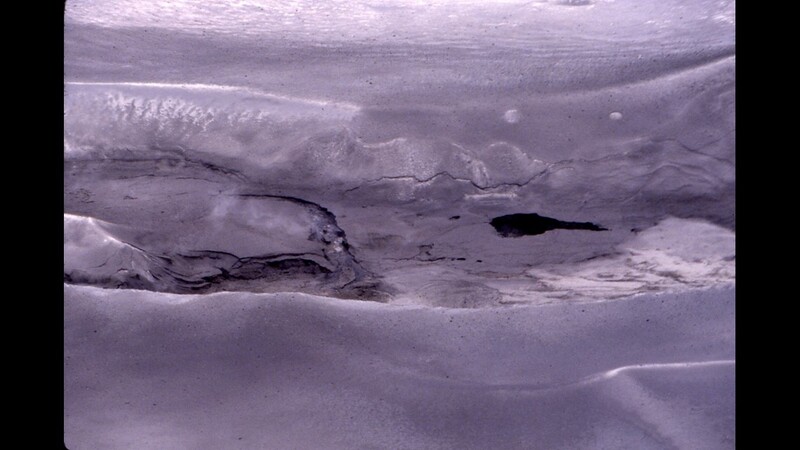 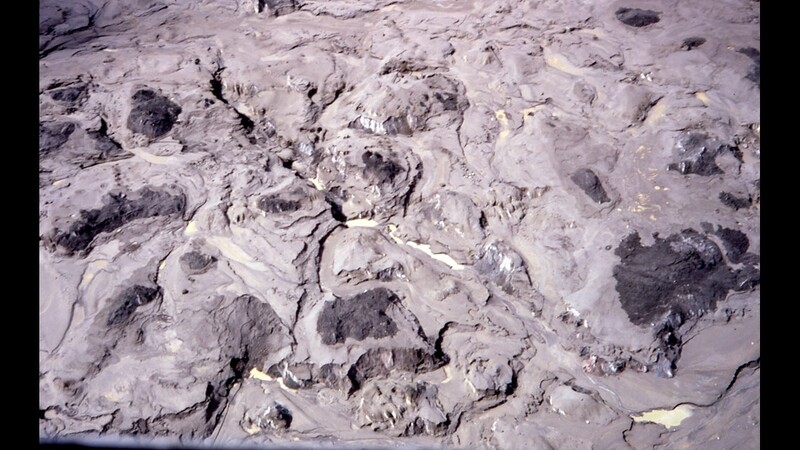 Glacier ice was seen in the mud flow after Mount St. Helens erupted in 1980. 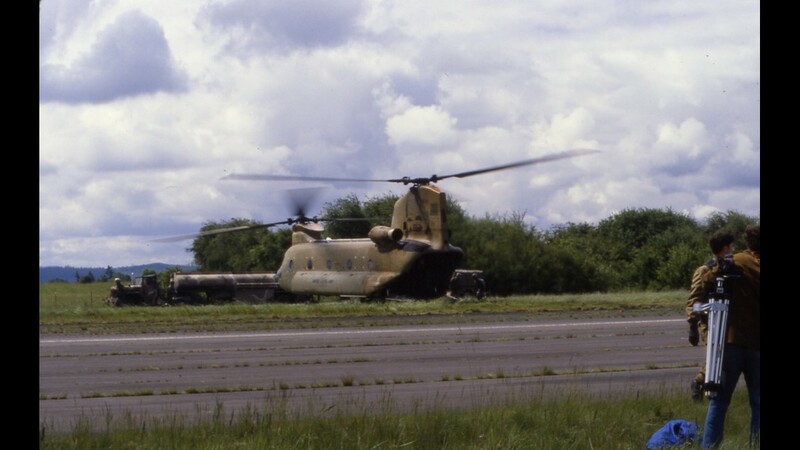 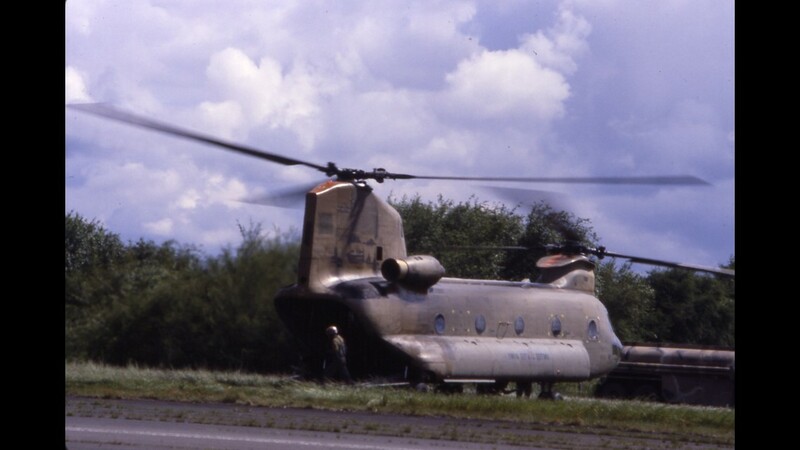 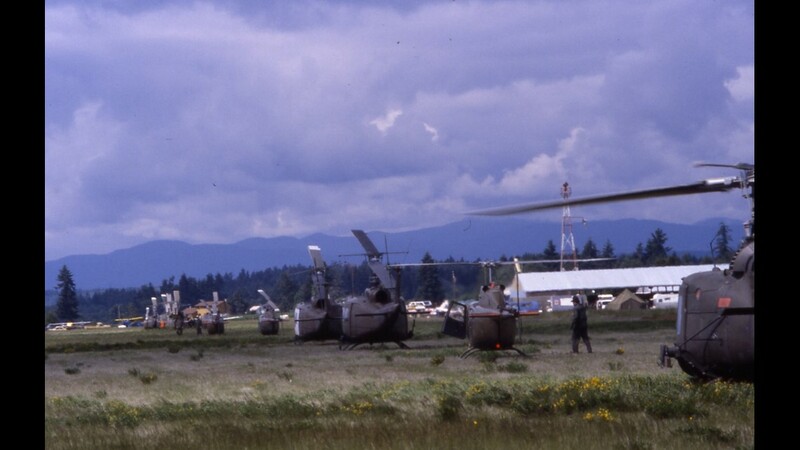 Helicopters lined up at Toledo after Mount St. Helens erupted in 1980. 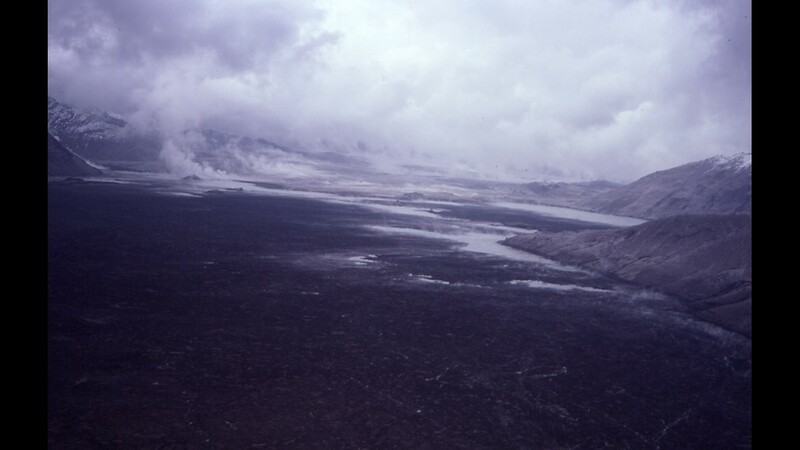 The view over Spirit Lake after Mount St. Helens erupted in 1980. 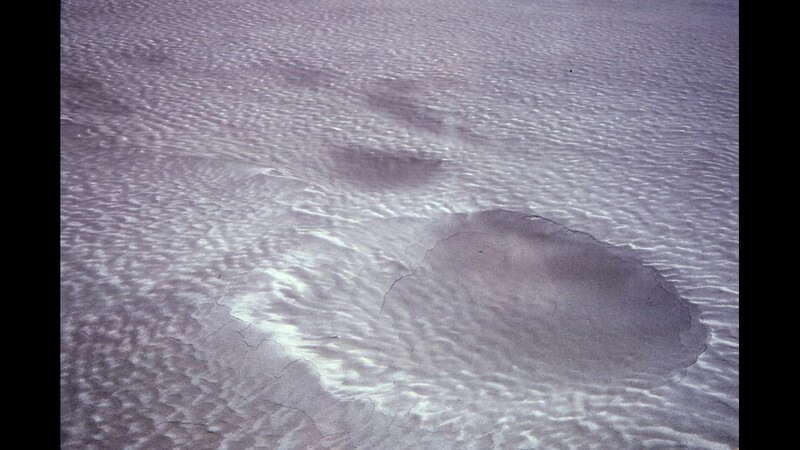 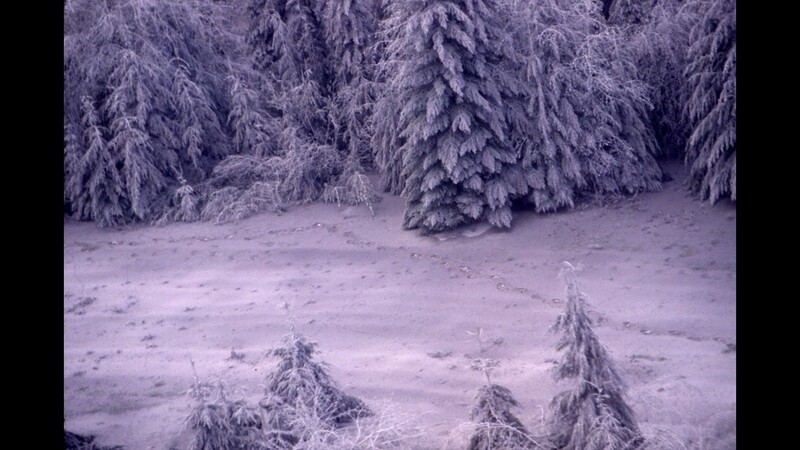 Human footprints in the ash were seen from the air after Mount St. Helens erupted in 1980. 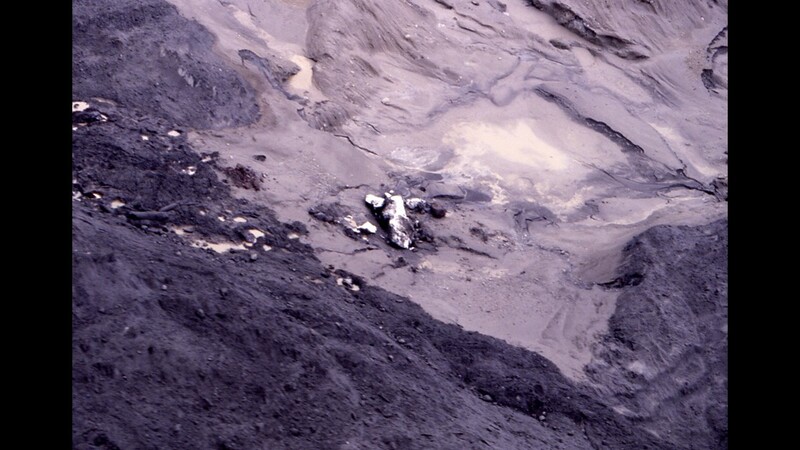 Hummocky mud flow was seen from the air after Mount St. Helens erupted in 1980. 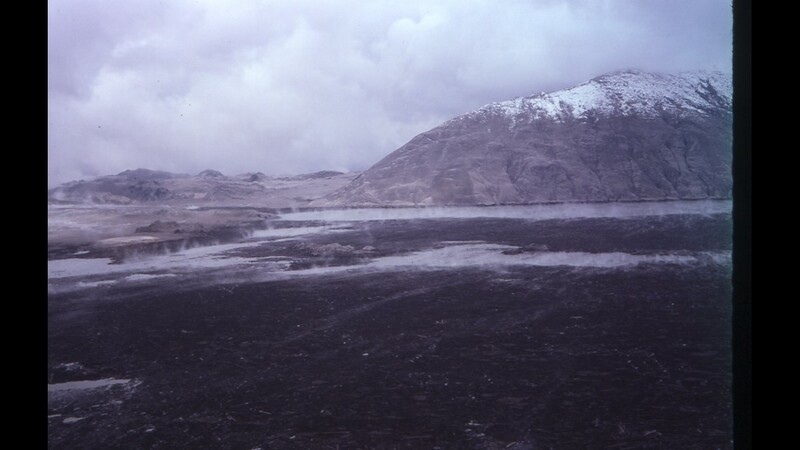 Trapped ice let off steam in the debris-strewn landscape after Mount St. Helens erupted in 1980. 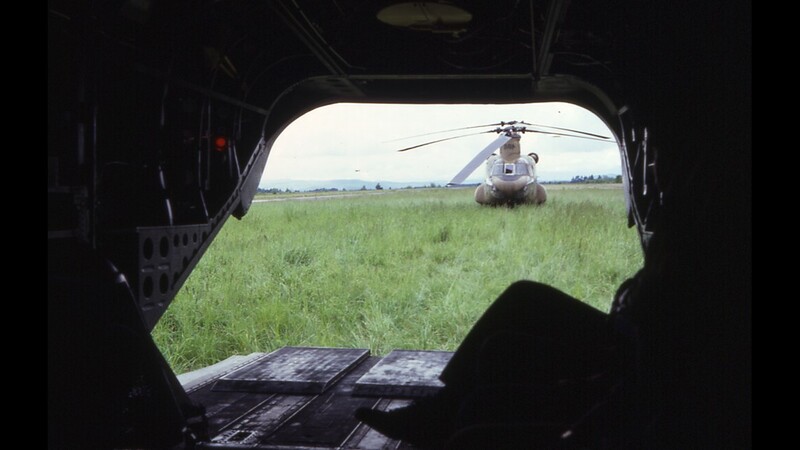 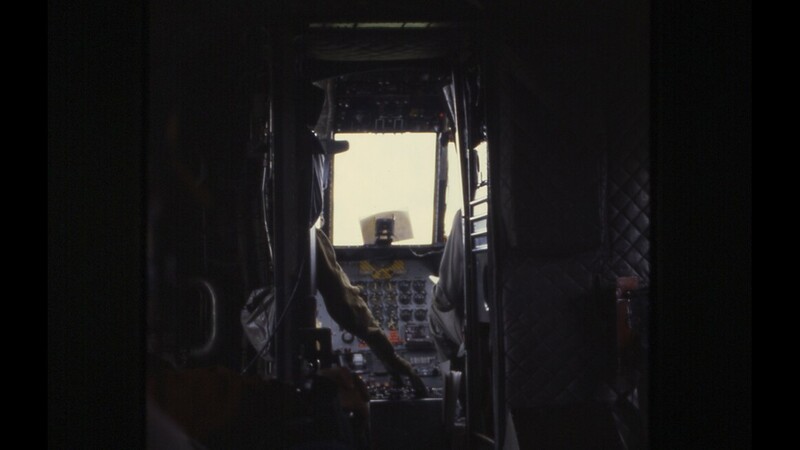 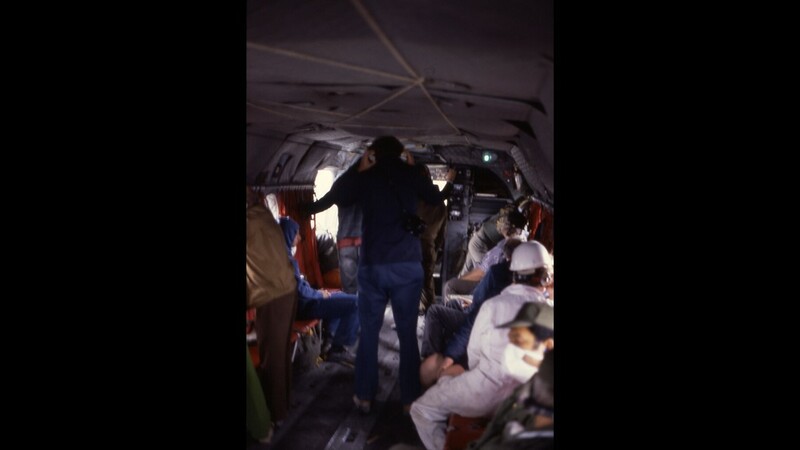 A view inside a Chinook helicopter after Mount St. Helens erupted in 1980. 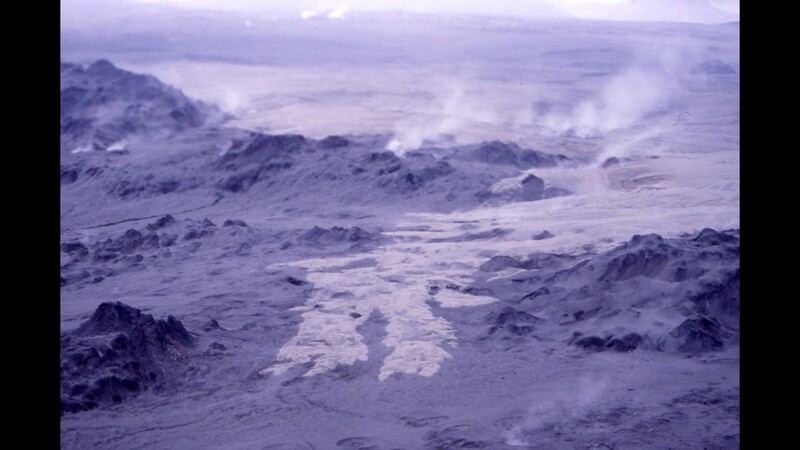 Two-toned mud flow stretched out across the landscape after Mount St. Helens erupted in 1980. 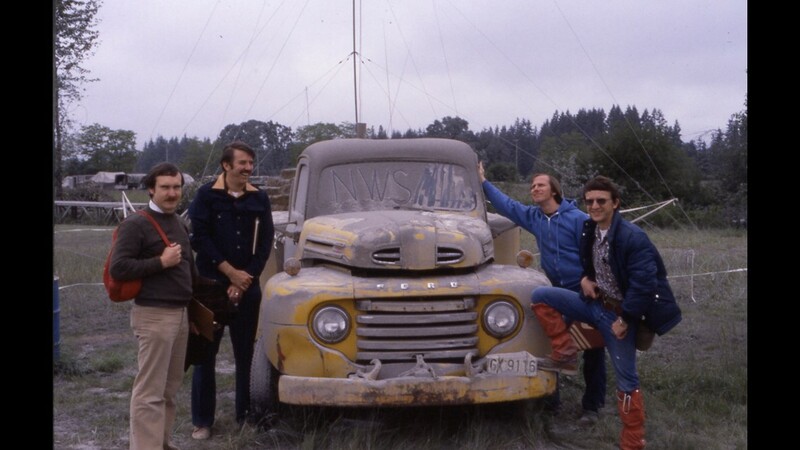 The National Weather Service crew posed next to an ash-covered truck after Mount St. Helens erupted in 1980. 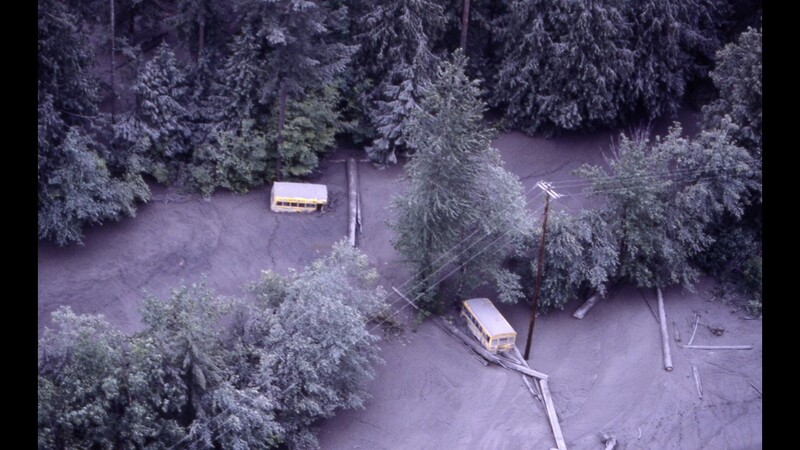 Schools buses were wrecked by flooding after Mount St. Helens erupted in 1980. 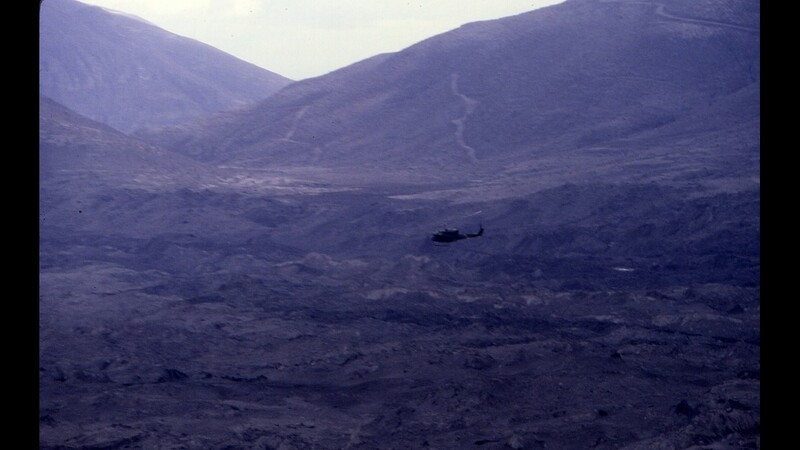 A helicopter was seen flying over the devastation from the eruption of Mount St. Helens in 1980. 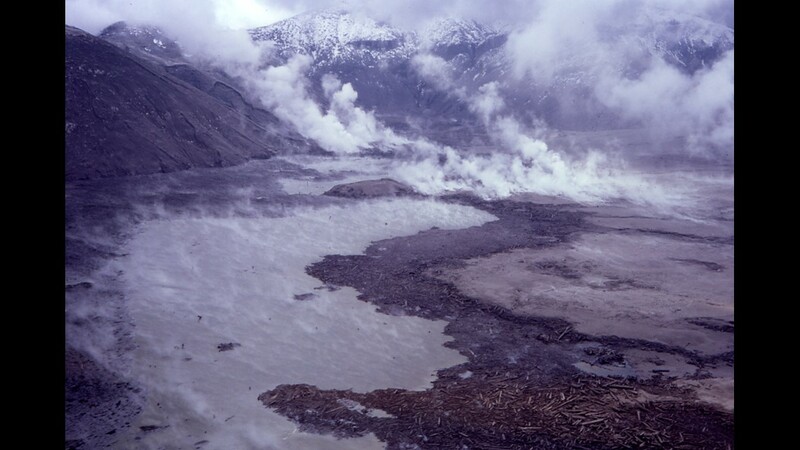 A helicopter flies over Spirit Lake after the eruption of Mount St. Helens in 1980. 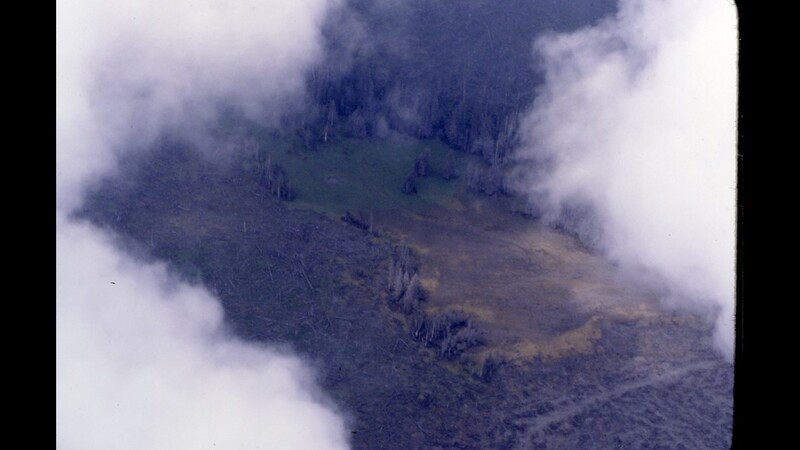 An aerial view shows Spirit Lake and vents after the eruption of Mount St. Helens in 1980. 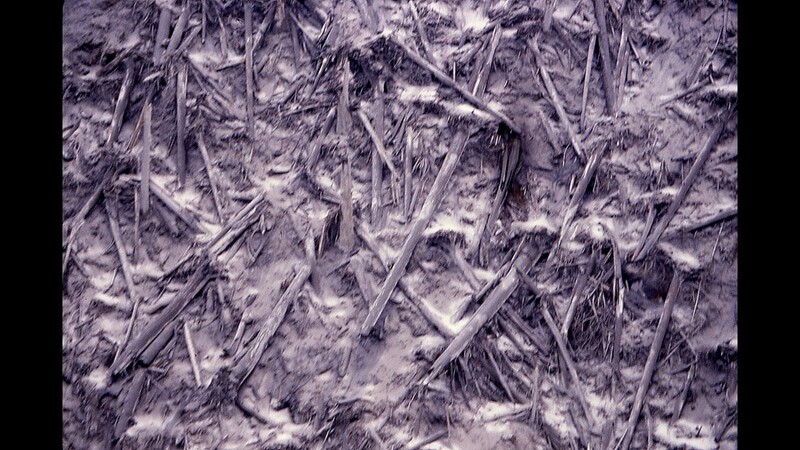 A close up of Spirit Lake shows tons of debris after the eruption of Mount St. Helens in 1980. 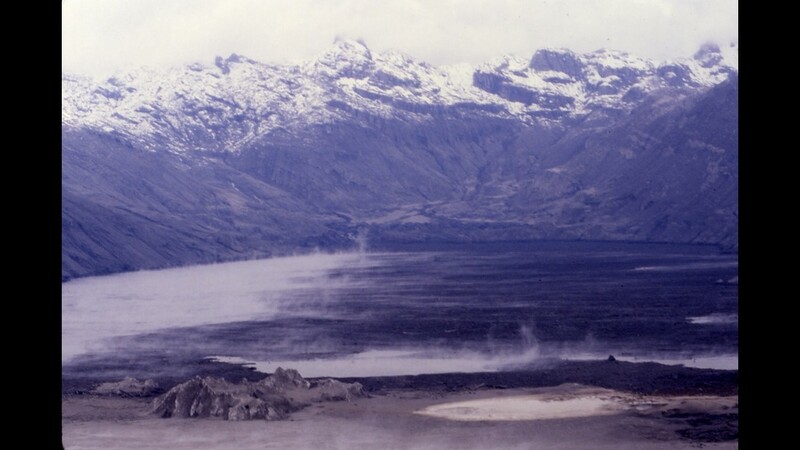 A view of Spirit Lake on Mount St. Helens after the mountain erupted in 1980. 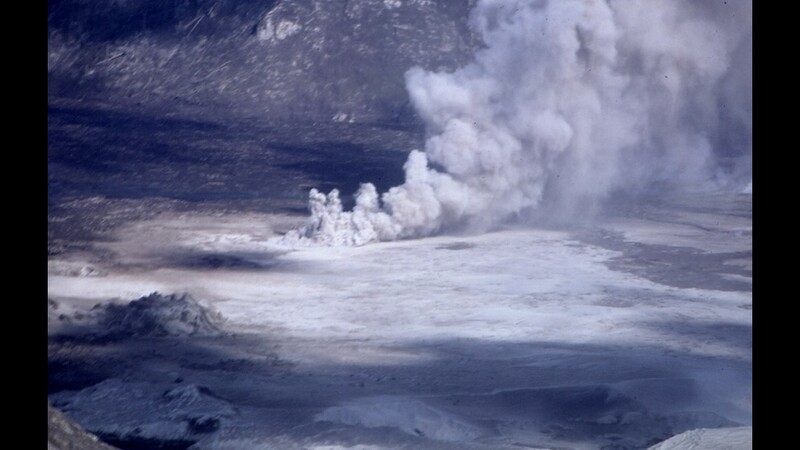 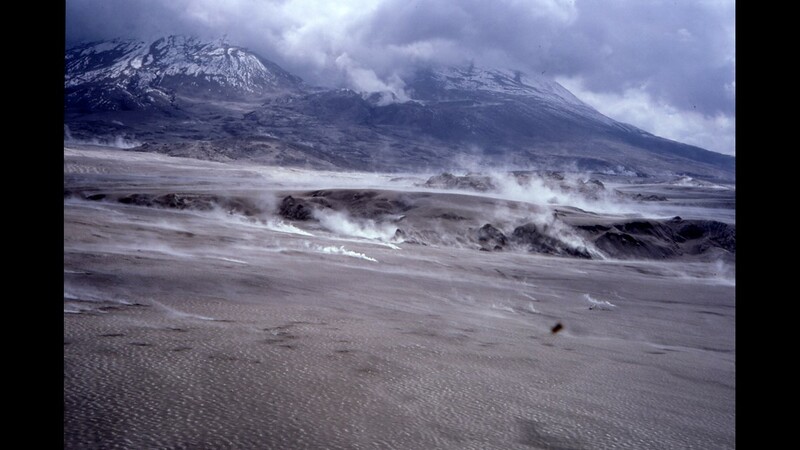 A view of Spirit Lake steaming and filled with debris on Mount St. Helens after the mountain erupted in 1980. 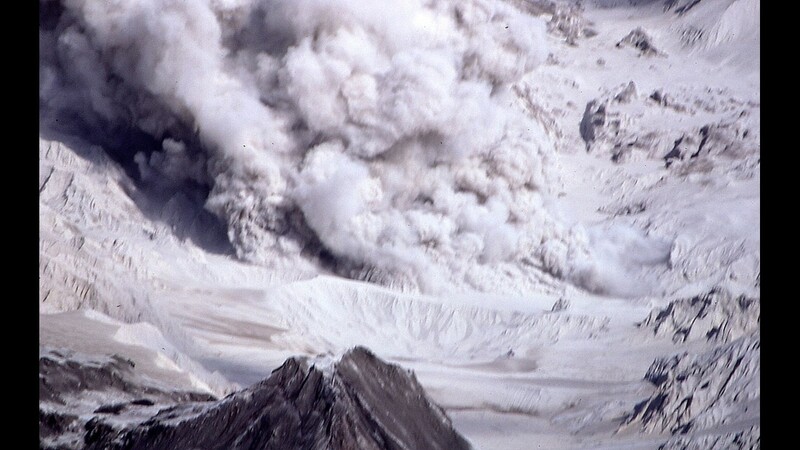 Mount St. Helens is seen from the west after it erupted in 1980. 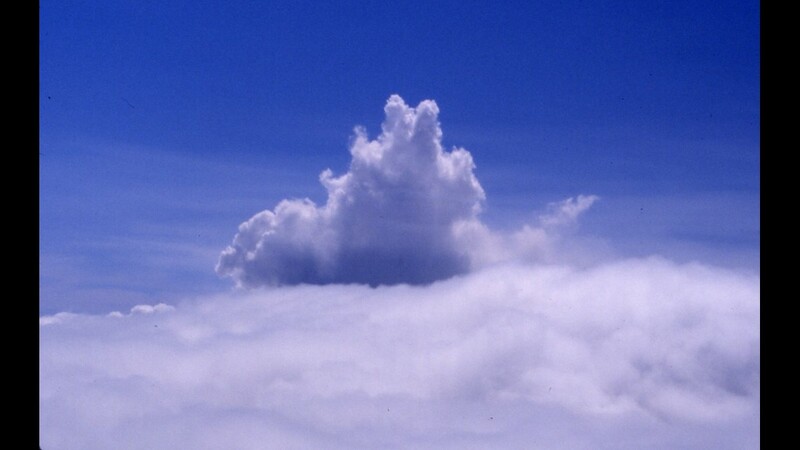 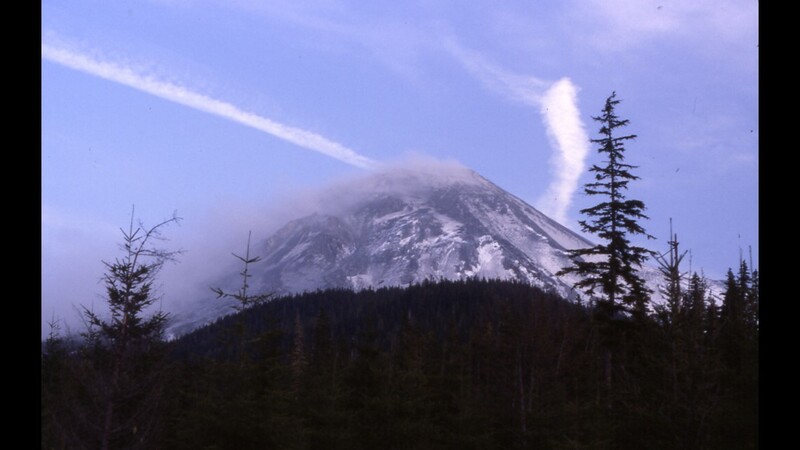 A steam plume from Mount St. Helens rises above the clouds in 1980. 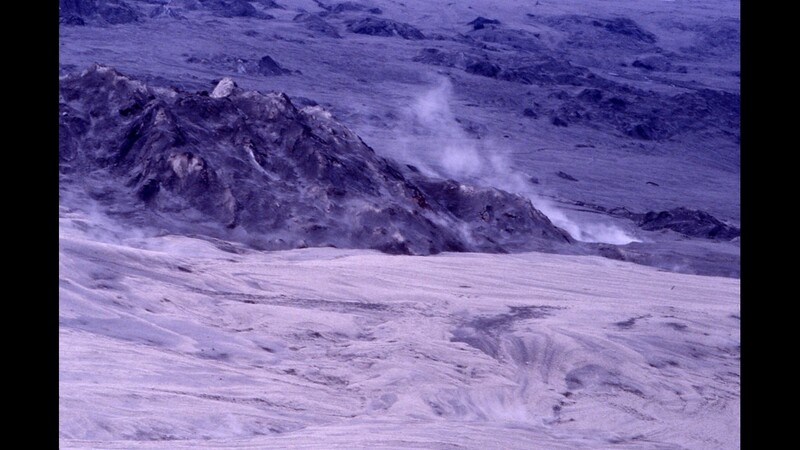 Steaming debris is seen after Mount St. Helens erupted in 1980. 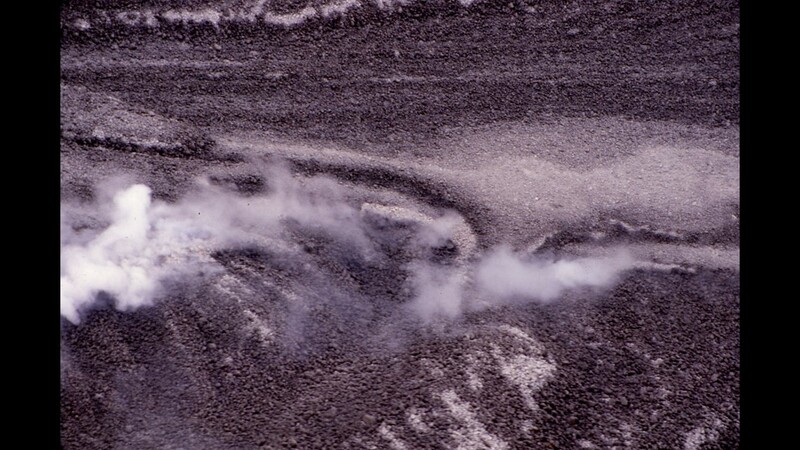 Steaming debris is seen near Spirit Lake after Mount St. Helens erupted in 1980. 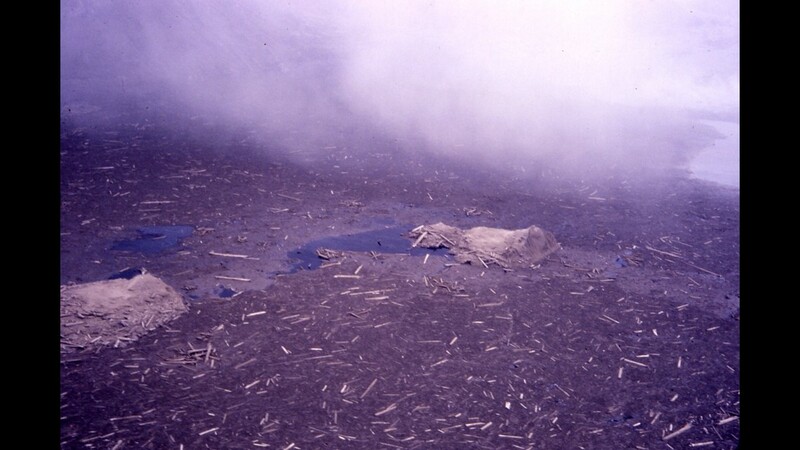 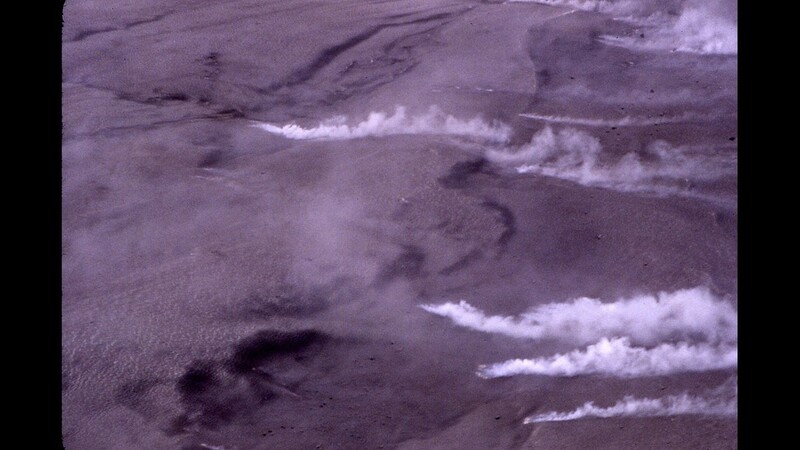 Steaming hummocky debris is seen after Mount St. Helens erupted in 1980. 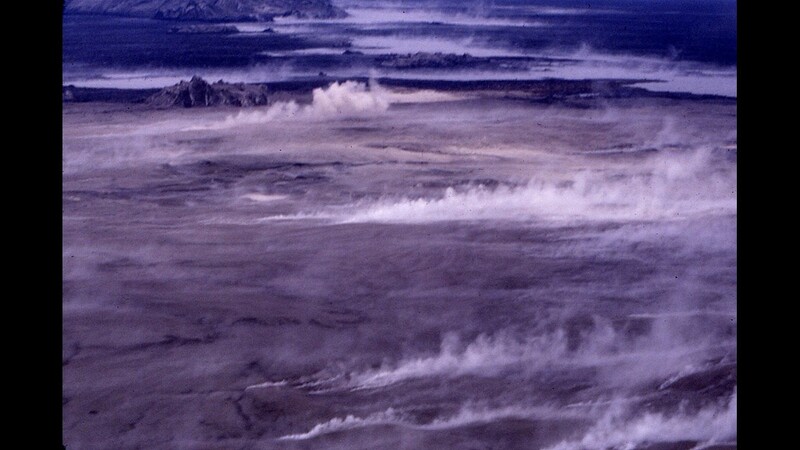 Steaming mud debris is seen after Mount St. Helens erupted in 1980. 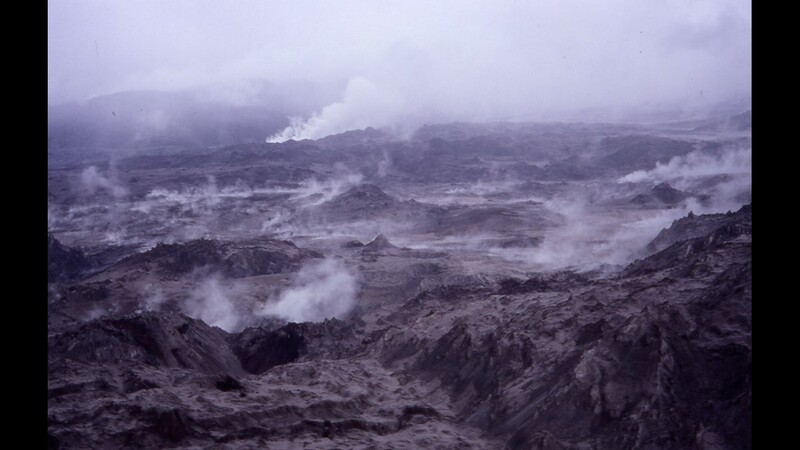 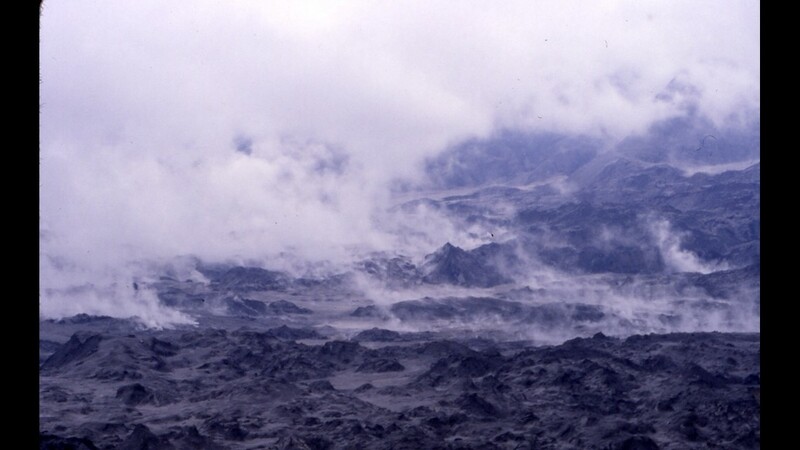 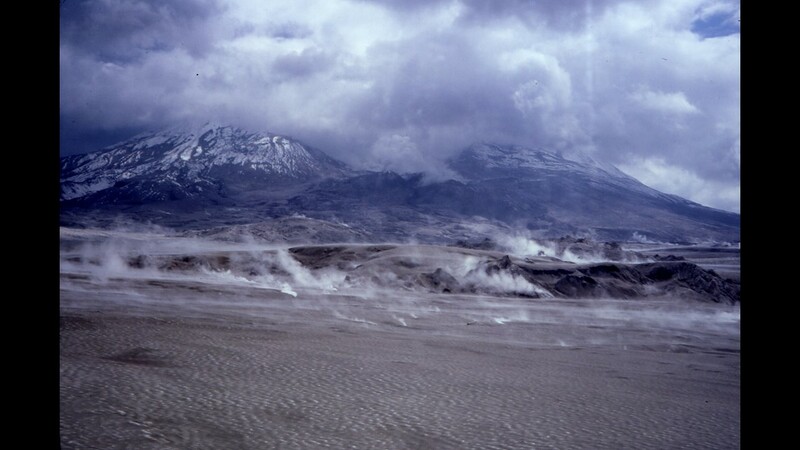 Steaming mud is seen after Mount St. Helens erupted in 1980. 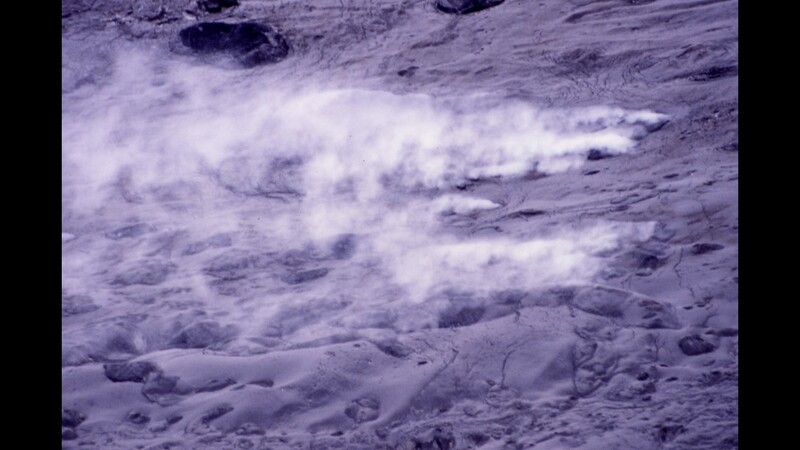 A vent is seen at the end of Spirit Lake after Mount St. Helens erupted in 1980. 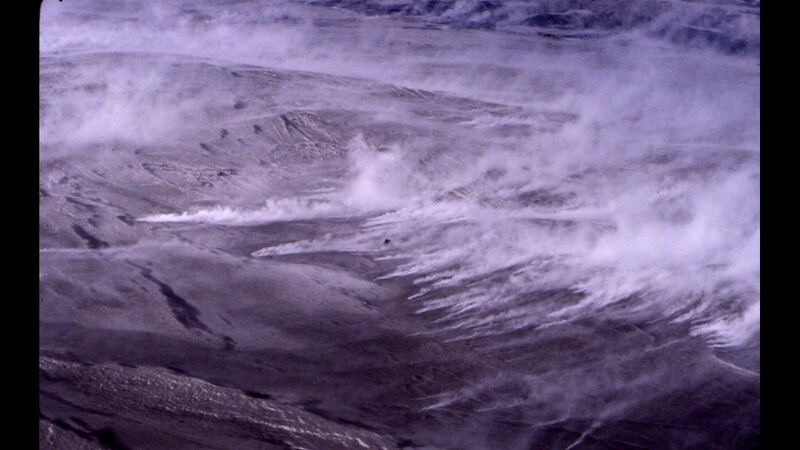 A vent on a plain after Mount St. Helens erupted in 1980. 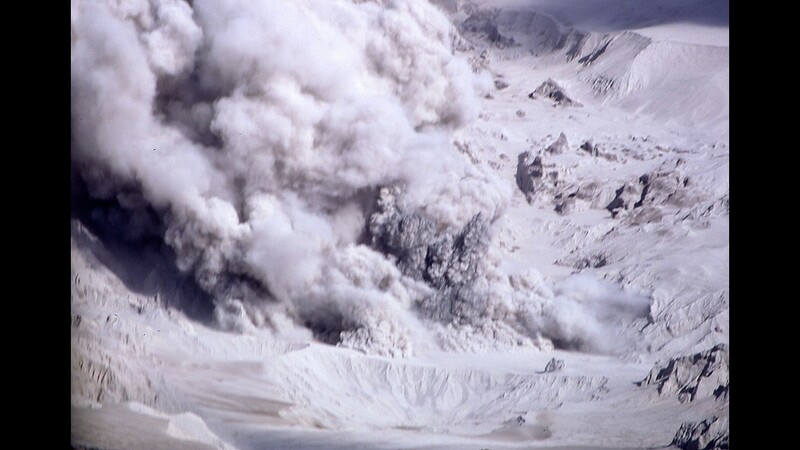 The view from the back of a Chinook helicopter after Mount St. Helens erupted in 1980. 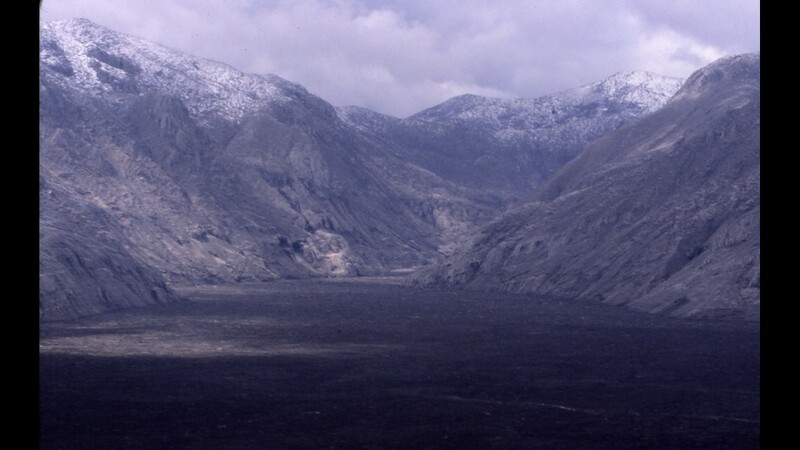 View towards the crater's mouth after Mount St. Helens erupted in 1980.